Have you ever seen a river with such a remarkable colour? 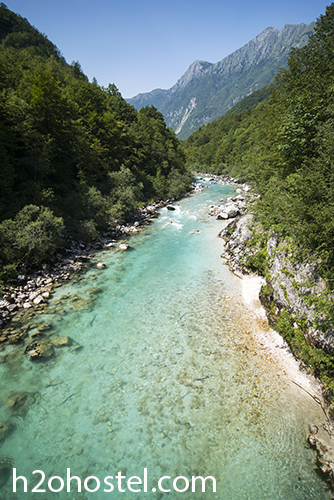 Not even 150 km long, its source is in the heart of the Julian Alps and it winds along the border with Italy in western Slovenia for most of its length. What is known at first as the Soča changes to Isonzo in Italian for its final 40 km to the Adriatic Sea. 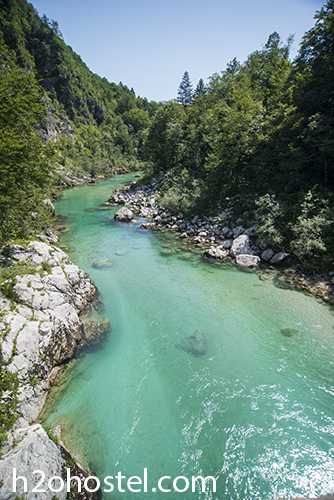 Due to its emerald-green water, the river is marketed as “The Emerald Beauty.” It is said to be one of the rare rivers in the world that retains such colour throughout their length. But don’t just look at it, immerse yourself! Have a crazy rafting, adrenalin canyoning, relaxing fly-fishing or very refreshing summer swim. As our National Tourist Board would say: Don’t just watch, FEEL the river! 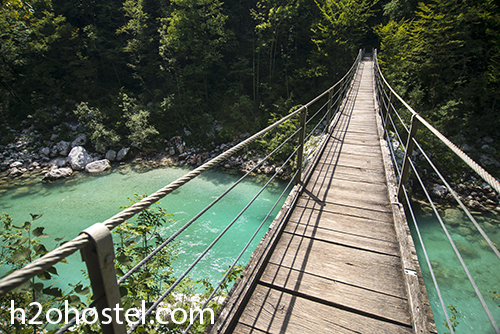 This entry was posted in H2ostel Blog, Travel tips and tagged adrenalin, canyoning, fly-fishing, rafting, River soca, Soča. Bookmark the permalink.